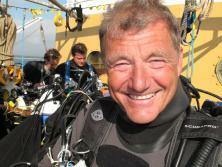 Diving has been Paul’s life and his career. 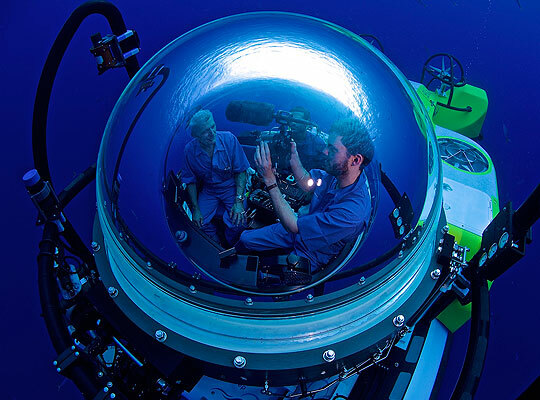 From starting as a BSAC club diver, over the past 40 years he has gone on to forge a highly successful career in commercial diving, scientific research, expedition leading and documentary-making. 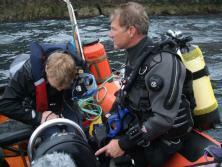 As a seasoned UK diver, Paul is incredibly proud of his new BBC2 series Britain’s Secret Seas and is hoping that it will bring the excitement of UK diving to a whole new audience. Britain’s Secret Seas runs from Sunday, 8th May (BBC2, 8pm) and is a stunning four-part series that charts the best in British diving – from the majestic basking sharks off Cornwall and the amazing fluorescent sea creatures at St Abbs, to the Farne Islands seals and the mighty wrecks off the south coast. The series is a real labour of love for Paul and it took him over a year to get the idea commissioned. 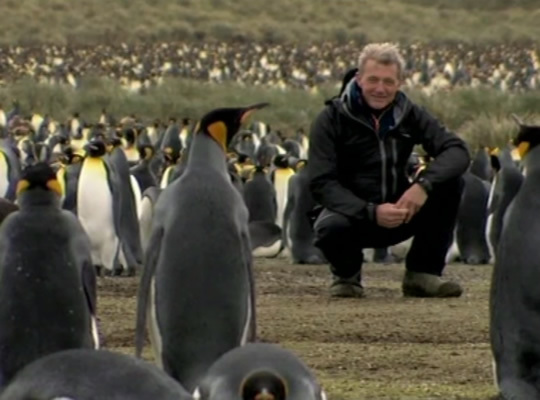 He had been working on his BBC’s Oceans series – the warm water precursor to Britain’s Secret Seas – but knew there was a series on the UK to be made. 1.This June BSAC is launching its new member recruitment campaign, Come Dive with Me. 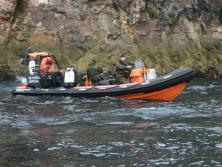 Its aim is to encourage existing BSAC divers to introduce a non diver to the club. Why would you recommend learning to dive with a BSAC club? High quality instruction in an easily accessible style. 2.What is so magical about UK diving? We can dive here 365 days of the year in a fabulous range of diving activities. 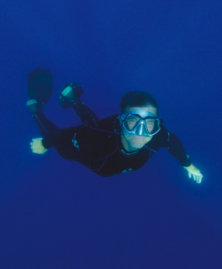 3.What inspired you at 11 to want to learn to dive? I grew up in Elm Park, Essex and was generally hopeless at school. I remember the early 1960s when my life's heroes were in their prime; Hans Haas was using military diving gear to film his fabulous shark documentaries. Jacques Cousteau had co-invented SCUBA diving, written the Silent World and was exploring the world's seas on the ultimate diving expedition on Calypso. 4.What has been your biggest diving challenge? My wife, Sheila, was a very keen, good diver and my dive buddy for over 20 years. When she was in the last stages of terminal cancer we went to the Canary Islands in the hope that she might be able to make a dive or a snorkel. But she didn't have the strength and encouraged me to still have a dive. That was the most challenging and lonely dive of my life. 5.You credit BSAC for getting you started in diving. What is so unique about diving with BSAC? I feel the club atmosphere makes learning to dive accessible and fun. I particularly like the way a family can find a club close to home and then learn to dive together. 6.What do you hope Britain's Secret Seas will achieve? Encourage non-divers to have a go! And to encourage those who only dive overseas to re-discover the joys of British diving. When I first developed the idea of Britain's Secret Seas I kept thinking of how I wanted to see families making easy snorkelling trips around our coastline, or enjoying a favourite tide pool and then exploring it once the tide comes in, or even just floating a hundred metres offshore in Cornwall experiencing great basking sharks swimming towards them - surely an ultimate family day at the seaside! 7.We all remember a teacher who inspired us as a child. Who has had the greatest impact on you as a diver? My son, Scott. I learned to dive from great instructors and I've dived with some of the world's best, but I remember when Scott was 6 years old I was teaching the US Navy diving programme and I got Scott started diving then. He quickly went from diving in the pool using a pony tank to the open water. And as I watched him take to it so naturally it helped me reflect on the shear joy of being a diver. 8.You are a passionate environmental campaigner. What can UK divers do to help protect and preserve our marine enviroment for future generations to enjoy? We must set a good example to the next generations by continuing to be active divers and therefore being aware of marine issues. Our opinions, good example setting and environmental leadership are far more effective if we are report from the 'front line' of the sea by being in it regularly. I encourage us all to keep abreast of and contribute to current marine environmental issues such as the Marine Protected Areas. It is important that we all become 'citizen scientists' and the finest way of doing that is to join Earthwatch. And I encourage us all to support MCS, the Wildlife Trusts and all of our hard working organisations that bring understanding and protection to our seas. 9.What has diving meant personally to you? Diving defines me. The most important thing I have ever done was that first dive at Chesil Beach and I attribute any success I have had in life to my becoming a diver as it gave me an essential focus at an important time as a young man. And I still count on that today. 9.Do you have a diving secret of your own you would like to share? Just enjoy 'being on that dive'. Enjoy that wonderful sense of being underwater. There is no need to feel that you always have to 'achieve' something on every dive. Plus; It's better to be up here wishing you were down there, rather than the other way around. 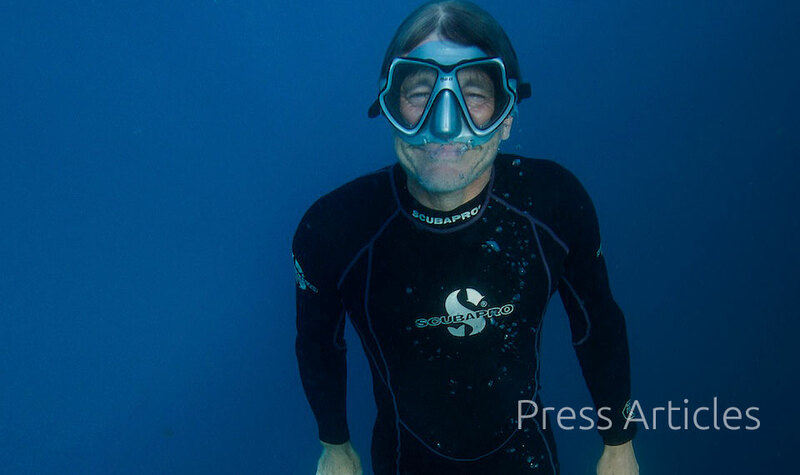 Paul is well-placed to take viewers on this journey beneath the surface – over his 40-year diving career he has dived all over the world, from tropical climes to the Antarctic. But when asked, Paul doesn’t hesitate to list his three favourite all-time dives…and all are in the UK. From making his own wetsuits to sharing stories with other divers in the pub after training, Paul has fond memories of his time learning to dive with BSAC. To any non diver considering taking up scuba in the UK, Paul’s advice is simple - just give it a go! As an advocate for club diving, Paul believes that it is the best way to get the most out of diving in the UK.